The stand-alone, AMD-based DellTM PowerEdgeTM T105 1-socket tower server offers simplified server computing for small businesses. An ideal choice for the first-time server buyer or a small business owner, the PowerEdge T105 is an economical enterprise solution. 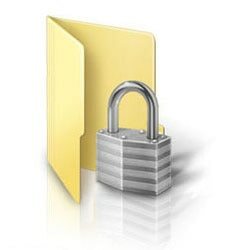 Standard security features help manage security risks, while the server is designed to be easy to set up, manage, and maintain. Great as a stand-alone local application server or file/print server, the T105 is also ideal for e-mail and shared internet access applications. Keep data centrally maintained and always available by adding a server to your IT environment. Security features include an internal, locked-down USB port, chassis intrusion switch and a built-in Trusted Platform Module (TPM) which enables system authentication, assists with encryption, and helps prevent tampering. 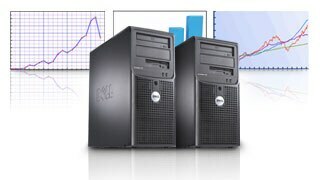 At Dell, we believe that the security of your data shouldn’t require a costly hardware upgrade. 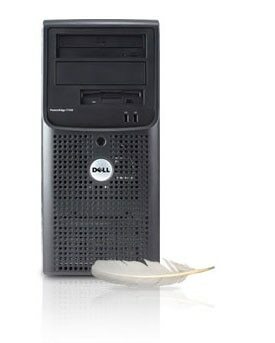 The slim chassis and quiet fans make the T105 ideal for working environments. Designed for flexible use on a desktop or in a data closet, the PowerEdge T105 is now smaller and lighter than the previous generation, as well as 50% quieter than the comparable server from HP, the ML115 G4*. 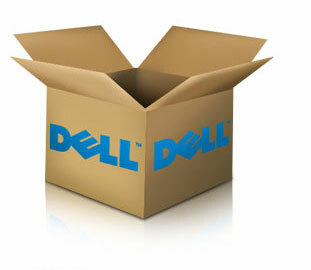 Dell can ensure a fast deployment, from delivery to configuration. Dell servers are fully assembled and tested, with most arriving in a single box to save space, time and waste. The PowerEdge T105 offers a simple interface for loading required applications and your choice of operating system with the Dell System Build and Update Utility . Implementing a networked server environment can provide a clear performance boost and a reliable infrastructure for small businesses. Companies can benefit from faster response times with a reliable infrastructure that grows with business needs. Count on performance and security without complex management and set-up requirements. 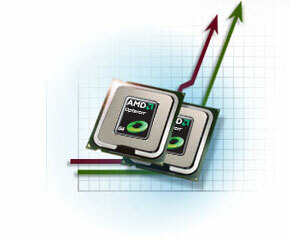 Get today’s performance for tomorrow’s needs when you invest in a business-class, Quad-Core AMD OpteronTM processor with up to 2.3GHz and 2MB cache. For additional flexibility, the PowerEdge T105 offers a simple path to Quad-Core upgradeability. Get the capabilities you need to manage your data now and in the future. 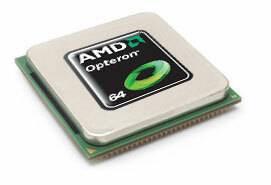 The T105 offers fast performance with DDR2 memory, 2TB* internal storage and advanced expandability with 4PCI slots. Rely on external connectivity for peripherals or flash drives with up to 7 external USB ports.